Sep - 19 | Posted by: celebrityabout | no comments. Ted Cruz refused to endorse Donald Trump on Day 3 of the RNC: funny? Jul - 21 | Posted by: marc | no comments. And here’s Cruz refusing to endorse Trump, and everyone booing him. Donald Trump arrived at the end of Cruz’s speech, and on Morning Joe this morning, they compared it to Wrestlemania. But as many pointed out, this was not a surprise. Trump Org. knew that Cruz would not be endorsing Trump, as they had access to his speech hours beforehand. The press knew too. And Trump let it happen anyway, possibly for political theater reasons, possibly because everyone knows that the best way to turn people against Ted Cruz is to let people see Ted Cruz speak. So was this a power-move by Team Trump or Team Cruz? Or was this just another shambolic mess from the RNC? I don’t know. But sources now say that Cruz is definitely going to run again in 2020, even if Trump is president. Jul - 21 | Posted by: videos | no comments. 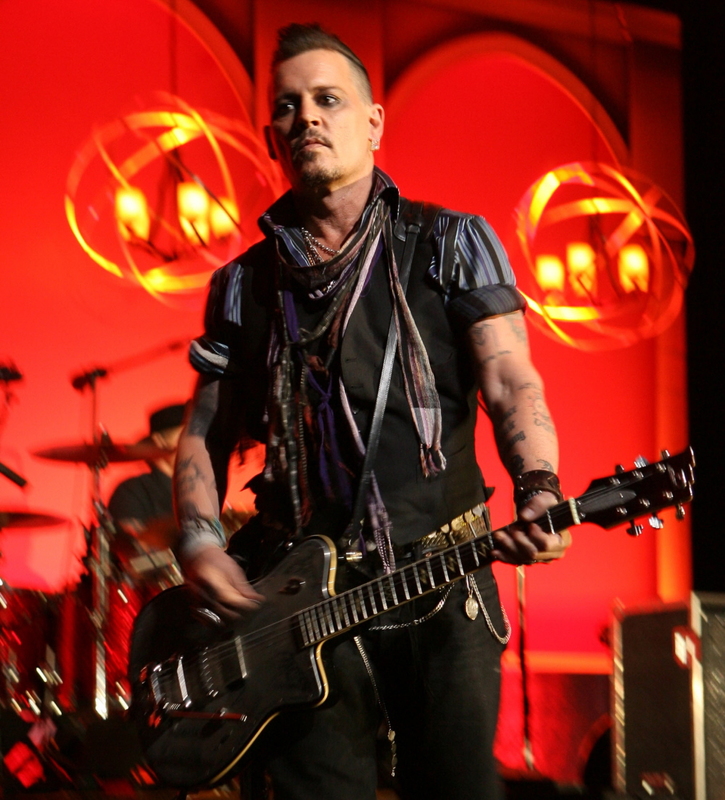 The documents also indicate that the two teams tried to settle in mid-June into order to “avoid media exposure” and “resolve the matter amicably,” and that Depp was willing to use the mediator Heard proposed. However, they failed to schedule a meeting. Now, as Heard proceeds to request more information, Depp continues to press for confidentiality. “Johnny is merely trying to protect the documents and information Amber seeks from unwarranted disclosure to the media and other individuals not involved,” the docs read. Does anyone else think it’s a bit rich for Depp’s lawyer to cry foul about Amber’s team leaking to TMZ? Throughout May and June, Team Depp was leaking to TMZ on a daily basis. TMZ was running pro-Depp stories consistently, full of information that only people deep in Depp’s camp would know. While I don’t doubt that Amber’s team has leaked information to E!, People and TMZ as well, turnabout is fair play. Why didn’t Andy Murray & Serena Williams dance together at the Wimbledon dinner? Jul - 11 | Posted by: videos | no comments. Here are some photos from last night’s Wimbledon Champions Dinner in London. Serena Williams was there, as she picked up her 22nd Grand Slam at Wimbledon, plus Serena and Venus won the doubles tournament too. I can’t find the ID on Serena’s dress, but it doesn’t really look like a major designer piece. My guess is that she either designed it herself or she just picked up something in London. I’m also including photos of Andy Murray with his wife Kim Sears/Murray at the event. Kim wore Jenny Packham, the same designer who did Kim’s gold dress at the final. While I’m incredibly pleased for both Murray and Serena Williams on their Grand Slam wins, something about this event bothered me. It’s become a tradition for the Wimbledon singles winners to dance together on stage at the Champions Dinner. Last year, that meant Serena danced with Novak Djokovic in what was one of the funniest moments to ever come out of the Champions Dinner. It’s sort of charming that even though Novak is brilliant on the court, he can’t dance AT ALL. But since it’s tradition, Novak went up there and made the most of it and had fun and it was sweet and cute. But this year, Andy Murray refused. When asked about the dance ahead of the Champions Dinner, Andy said: “No, no, it can go into retirement again. The next winners can try it again but no dance for me tonight unless I’ve had a few glasses of champagne. And then it’s possible.” I haven’t seen any videos of the dance and I really don’t think it happened. I understand that Murray was probably trying to be self-deprecating, but if he refused to dance with Serena, is that as rude as I think it is? Jul - 04 | Posted by: celebrityabout | no comments. 2016 has brought us a “new and improved” Duchess of Cambridge, or so her PR would have us believe. Five years into her role as duchess, Kate is supposed to be feeling more comfortable in her royal role. We’re also supposed to believe that she’s successfully transitioned from her mass-market High Street looks to more expensive and sophisticated designer clothes. Personally, I don’t see much of a difference in her style in the past few years other than the price tags. Which I suspect is the point of this piece at the Daily Mail. While Prince Harry is shopping the bargain bins at Waitrose, Kate is spending her father-in-law’s money on undercooked cinnamon bun hats and doily dresses. She was once hailed ‘Queen of the High Street’ for championing mid-range clothes within reach of the average woman’s budget. But the Duchess of Cambridge has been re-crowned the ‘Designer Duchess’ after replacing her trusted Zara dresses and Topshop bargains with haute couture. Once a reluctant style icon, Kate –who famously wore a £50 blue Zara dress the day after her wedding – is now almost exclusively choosing high-end gowns, coats and shoes. And the 34-year-old’s new tastes do not come cheap. Much of her working wardrobe is paid for by the Prince of Wales, who funds William, Kate and Harry’s official activities. Royal accounts published last week show Charles’s ‘other expenditure’, which includes money spent on Kate and his sons, rose 9.5 per cent in a year to £3.2 million – although aides refused to specify how much of that went on Kate’s wardrobe. The transition has come with the help of an in-house tailor and her personal dresser, 29-year-old Natasha Archer, also based in Kensington Palace. The most expensive item Kate has been seen in this year was a £7,000 pale blue Catherine Walker coat dress, which she wore to the Service of Thanksgiving at St Paul’s Cathedral last month. While her clothes are now of a better quality, she is increasingly ‘recycling’ outfits she has worn before, including a £2,000 cream-coloured Alexander McQueen coat dress seen at Trooping the Colour in June. And she has finally ditched her trusty £145 LK Bennett court shoes in favour of pumps by Milan-based Gianvito Rossi, costing about £450. I understand that her wardrobe is supposed to be seen as a “years-long transition,” rather than an overnight change from middle-class girlfriend to high-end duchess. But what strikes me about Kate’s wardrobe is that you really can’t tell which pieces are high-end and which pieces are mass market, and I don’t mean that as a compliment. Some women – the Diane Krugers and Cate Blanchetts of the world – can make inexpensive clothes look rich. Some women – like Kate – make high-end pieces look mass-market. One of the biggest issues with Kate’s clothes is how much she’s spending on personalized tailoring, most of which is unneeded. Or worse yet, the tailoring actually screws up the look. And you have to look no further than her absolutely awful bespoke piece at the Battle of Somme centenary event last Friday to see that this is Kate’s (expensive) vision for how she’s supposed to look. All with Charles’ money! Photos courtesy of WENN, Fame/Flynet. Jun - 24 | Posted by: celebrityabout | no comments. For years, motivational speaker Tony Robbins has made a killing by telling followers to "Unleash the Power Within," but they're really burned up over his teachings now. The author and self-help guru reportedly had fans walk over a blanket of hot coals during a seminar in Dallas, encouraging them to, ya know, conquer their fears. To the surprise of no sane individual, more than 30 participants were treated for burns to their feet and legs, with five requiring hospitalization. I'm certain there are far safer fear-conquering activities that could've worked just as well, but nothing brings out your inner carnie like hot coal-stepping. Amazingly, Robbins' people have defended the coal walk, claiming that more than 7,000 people performed the feat but only five had to be rushed to the hospital. Call me crazy, but I think that's five too many. "I know it might not look that way, but this was actually another successful fire walk," Robbins' head trainer Chad Schinke told reporters. "We had over 7,000 people that walked across the hot coals and we always have a few people that have some discomfort afterwards," he added. "Discomfort" he calls it. Dude. "We do our best to take care of them and ensure that they get whatever help that they feel like they need." "Help that they feel like they need?" This guy's a tool. Funnily enough, with every cult there are always folks drunk on Kool-Aid who refuse to fault the ringleader. "I'm just shocked, I'm out of words," said one participant. "I've never seen this in all of my events and I have to just say it has nothing to do with the training." "It has absolutely nothing to do with Tony Robbins," she added. Do we have to point out the obvious? It was his event, he suggested the ridiculous exercise and he surely knew of the dangers because even my frigging cat knows better than to do something so asinine. The god complex, people. It's a scary, scary thing.